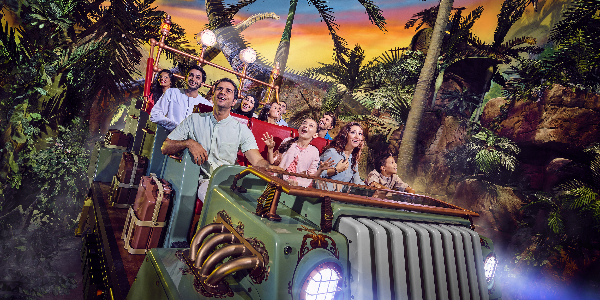 Blast off on this thrilling adventure that launches from the prehistoric jungles of the Lost Valley- Dinosaur Adventure out into the desert of Dubai itself! Not for the faint-hearted.... You think you’ve got what it takes? Want to see life-size dinosaurs roam the Earth? 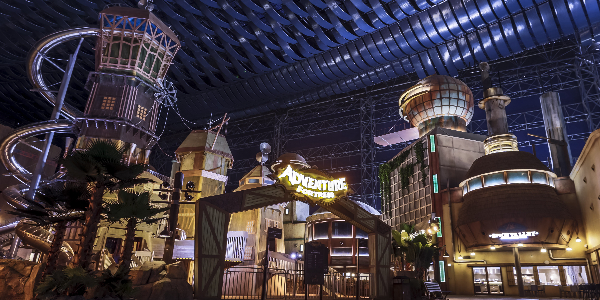 Enter the Forbidden Territory and be transported through time, get up close with some of the most amazing and terrifying creatures the planet has ever known. But don’t get too close! 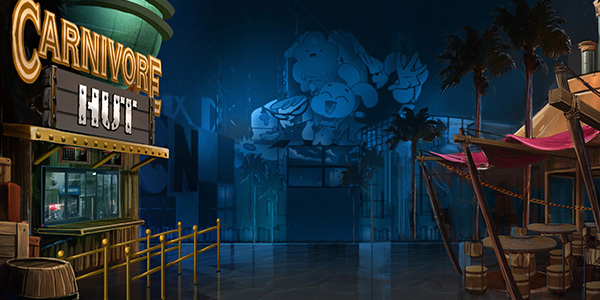 Are you ready to enter The Danger Zone?! 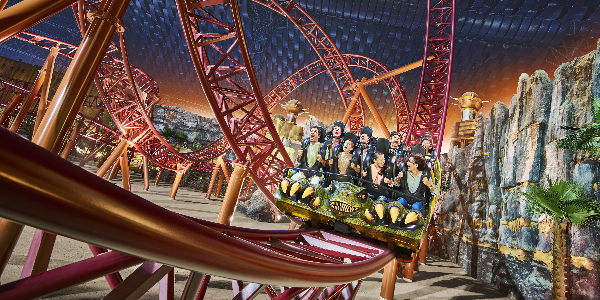 What goes up, must come down… Journey through the jungles of the Lost Valley - Dinosaur Adventure on the Predator, an unforgettable lesson in the power of gravity. 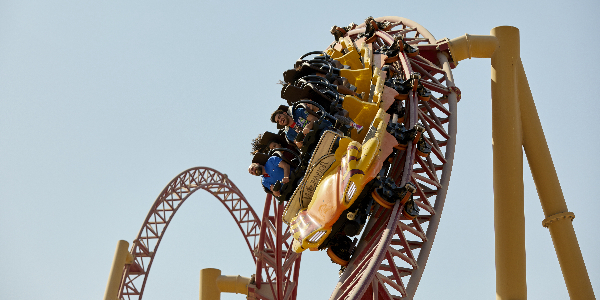 Loops, exhilarating rolls… nothing can prepare you the heart-stopping beyond-vertical plummet to Earth. Don’t look down! 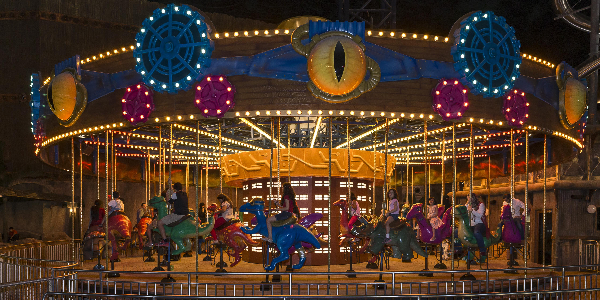 Take a spin with the friendlier inhabitants of the Lost Valley- Dinosaur Adventure in a unique-dinosaur themed carousel… but be careful… some dinosaurs are more friendly than others. 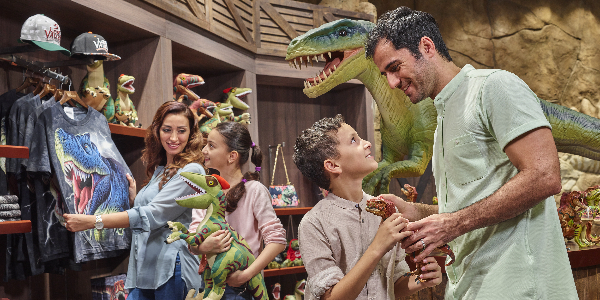 Learn the skills needed to protect the village from the dinosaurs of Lost Valley in this adventure playground… have fun exploring ladders, tunnels, slides, bridges, nets and climbing challenges. 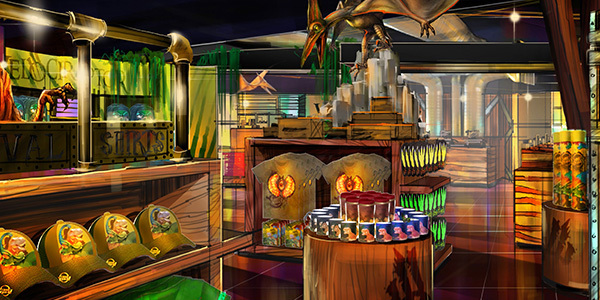 Deep in the Lost Valley, Spice Valley serves delicious Indian inspired cuisine to satisfy even the most famished of dinosaur handlers… Take a seat and soak up the atmosphere… the shimmering gas-fired tandoor ovens and the flame roasted rotisserie meats; this is Indian hospitality at its best. 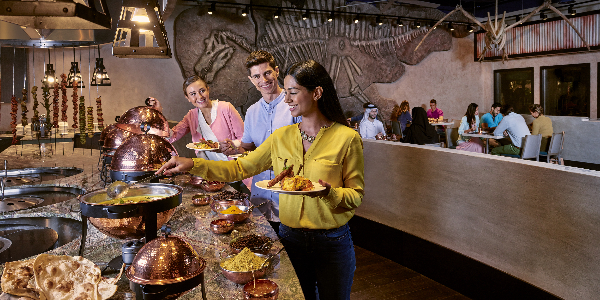 Just make sure you’re hungry before you join us at this buffet style restaurant. The Carnivore Hut has been serving up the very best chicken wings from a small window since it was opened decades ago by a ship’s cook grown tired of the island’s fruit. Taste the chicken wings that have been perfected over generations and discover for yourself why being marooned in the Lost Valley isn’t quite as bad as people say. 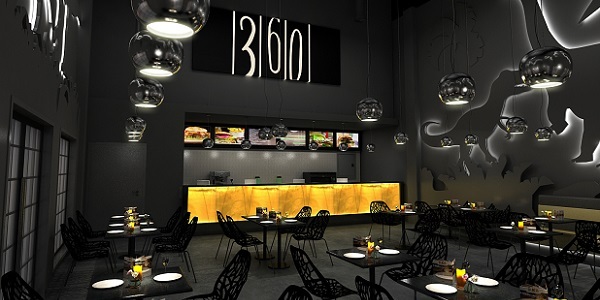 360 Express serves gourmet burgers and hotdogs that guaranteed to please kids and adults alike.